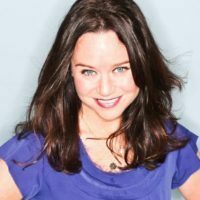 Angela is a creative and solutions-driven PR and Social Media Strategist with more than 15 years of agency experience working with leaders in healthcare, personal finance, science and technology. She designs campaign strategy, provides senior counsel, drives story ideation and also enjoys delving deep into execution, including media relations and content creation. From guiding Century 21 Real Estate through the housing crisis and launching Capital One 360’s banking cafes to driving awareness for health innovators like Brigham & Women’s Hospital, OMGYes and Veritas Genetics, Angela thrives when working with companies who create bold solutions, take on controversial subjects and overcome seemingly insurmountable challenges. Career highlights include launching the Stop Diabetes movement for the American Diabetes Association, guiding Sir Richard Branson through a NYC media tour, elevating an Emma Watson recommendation to drive 500 positive news placements overnight and most recently, educating a host of audiences on the importance of whole genome sequencing. Angela has secured stories with The Atlantic, The Boston Globe, Bloomberg, Buzzfeed, CNN, The Guardian, MSNBC, NBC, The New York Times, NPR, The Wall Street Journal and WIRED, among others.